We use this program as a blueprint for planning and implementing a developmentally appropriate program. The philosophy behind this curriculum is that young children learn best by doing. Learning requires active thinking, experimenting, and exploring using all their senses to find out how things work. Its effectiveness helps children acquire social competence and the skills needed to succeed as learners. Our goal is to help children become independent, self-confident, inquisitive learners. We encourage children to be active and creative explorers who are not afraid to try out new ideas and think their own thoughts. The activities we plan, the way we organize the environment, select toys and materials, plan the daily schedule, and talk with children, are all designed to enhance the children’s social, emotional, cognitive, and physical development and give your child a successful start in school. We leverage technology to provide the best possible experience. 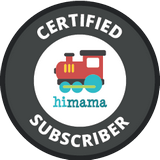 Yellow Brick Road uses the HiMama app to reduce teacher paperwork and increase teacher time with children. It provides a way for teachers to share pictures and videos with parents throughout the day and chronicle each child's journey from infant to pre-k.
​This institution is an equal opportunity provider and employer.